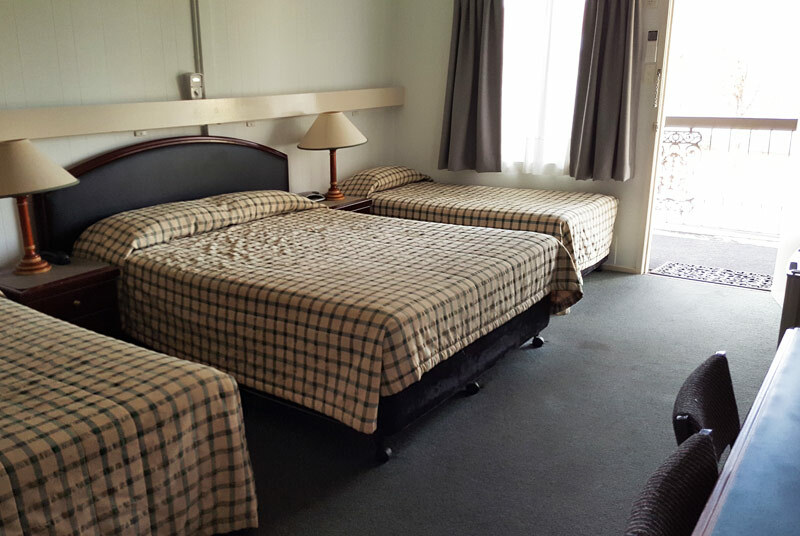 The Motor Inn offers a selection of rooms ranging from Queens to King Superiors to 2 bedroom units (accommodating 5-6 people). They all overlook our extensive lawns and sparkling pool area and the large area available for trailer parking. A delicious home style cooked breakfast can be delivered to your door. Free Wi-Fi is available in all rooms. 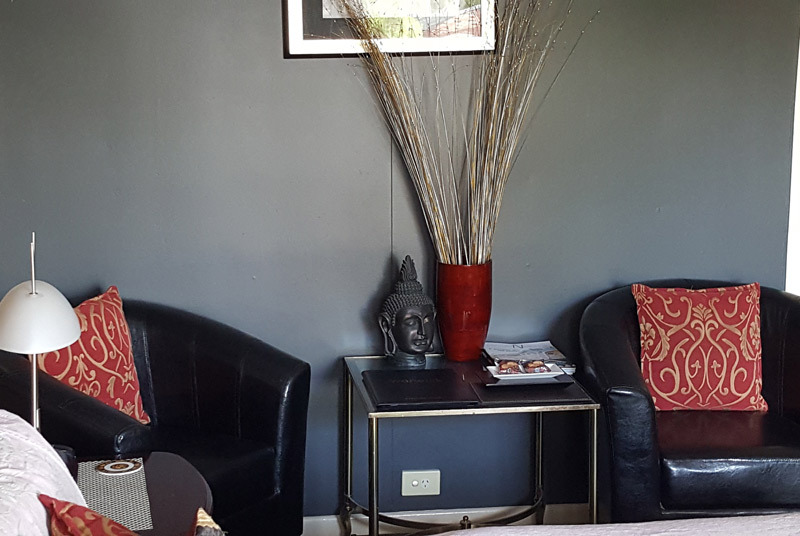 Whatever you choose, you can be assured of a friendly and comfortable atmosphere at the Centre Point Mid-City Motor Inn. Warwick is an ideal place from which to explore both the wineries and fruit orchards of the Granite Belt, as well as the natural beauty of many national parks (Girraween, Bald Rock, and Main Range to name a few). 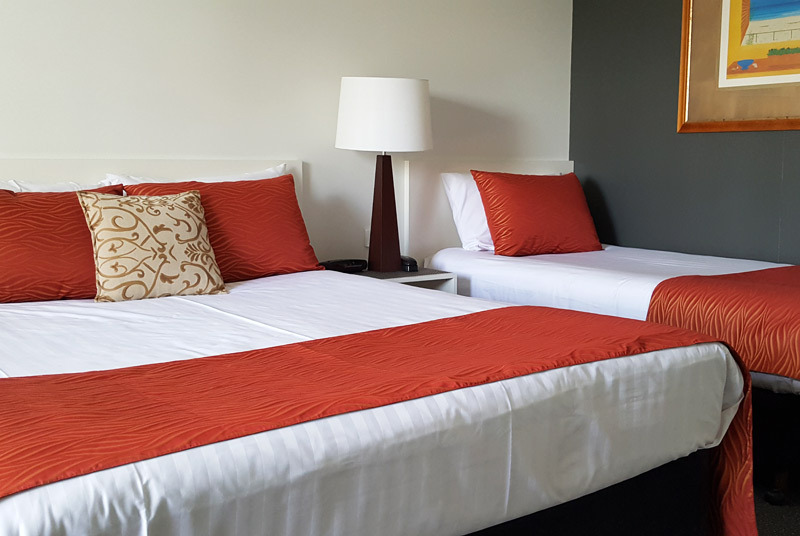 Closer to the Motor Inn, we find Morgan Park, famous for its race track and polo grounds, as well as the Warwick Cart Club track at Sandy Creek. Not far from there we also find Leslie Dam, which is regarded as a sweet water fishing haven. Warwick (population approx. 12000), located on the banks of the Condamine River, is host to many events all year round. They include the Warwick Rodeo and Camp draft in October, the Rose & Rodeo Festival, Jumpers & Jazz in July, motor sport almost every weekend as well as a variety of other sports throughout the year. Stay & Play Golf at the Warwick Golf Club. The package is based on twin share and includes 1 night's accommodation, cooked breakfast, 1 rd of golf each and a shared cart. Stay & Play Golf at the Warwick Golf Club. 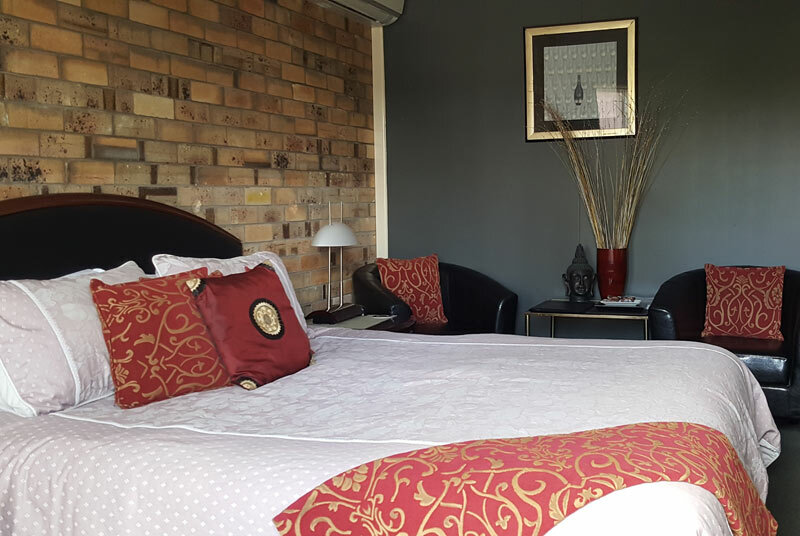 The package is based on twin share and includes 1 night's accommodation, cooked breakfast, double the golf and double the carts. 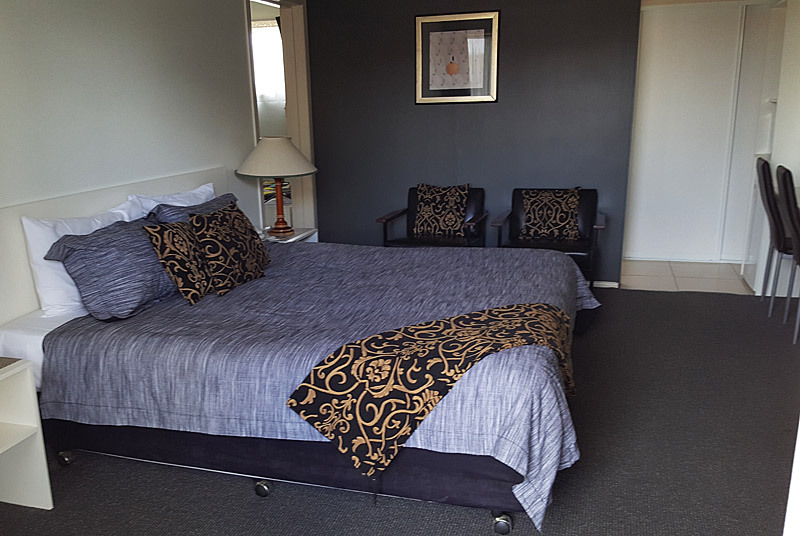 Great location, great motel and very friendly people, rooms and bathrooms immaculate, bed very comfortable, great value for money. 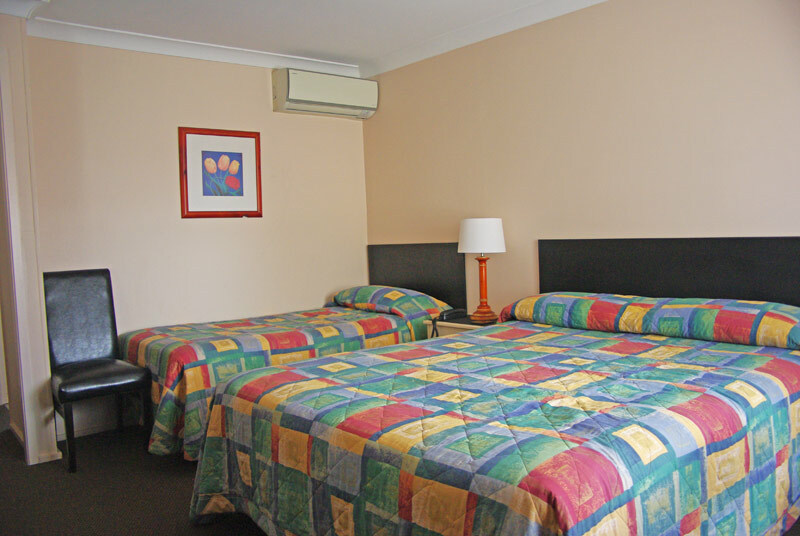 The Motor Inn was very comfortable and the staff were very friendly. There was nothing we didn't like. Very, very, very clean and modern, had all you needed for a nice stay. Owners were very friendly and helpful. They let us book in early (my sister and husband had a room too and my niece and her partner). We had a wedding to attend just after lunch. Great parking right outside your door but if you have some sort of vehice that is too big for a park, like my sister, they can accommodate that too. They have space at the end of the motel for them to park. I would recommend this motel. It was also kid friendly, my sister had her grandkids there. We stayed here for 2 nights, as we were going on the Southern Downs Steam Railway. There were 4 family members, so we had a 2 bedroom unit. The location was ideal, we could walk to the station and also into the centre of Warwick for meals. Despite being on the New England highway, we didn't hear any traffic noise at night. 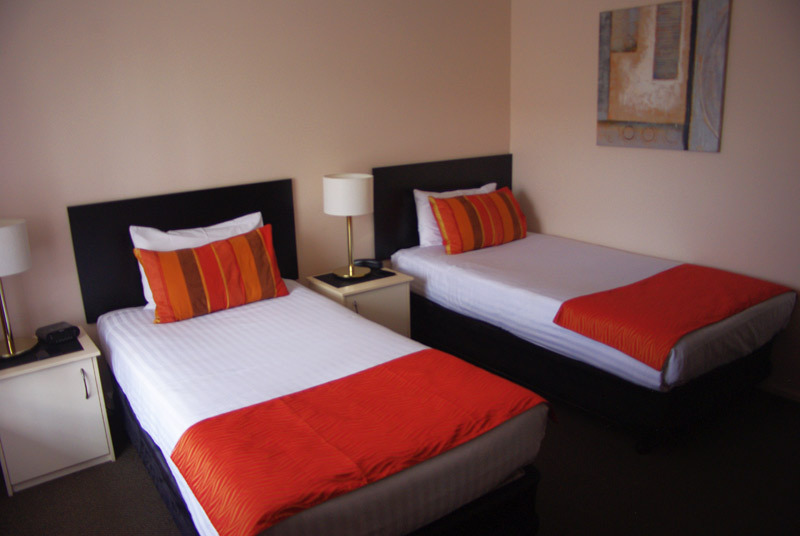 The beds were really comfortable, rooms were clean and the staff were very friendly. We would be happy to stay there again. Gold Star for a great stay. Close to everything. Nice & friendly people. Excellent like home away from home; nice friendly people; really lovely motel. Presentation was very neat and clean, parking outside your door, location is great, and cannot recommend it enough. We certainly will return. 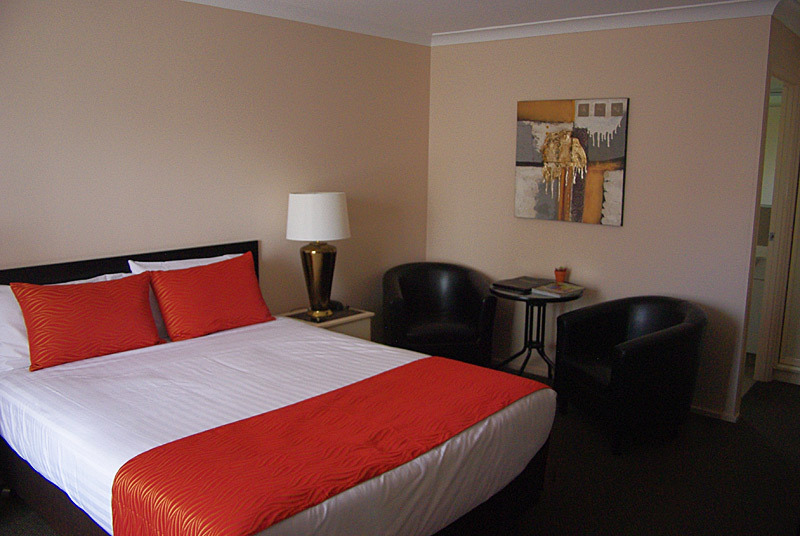 We stayed overnight on a Saturday while travelling up the New England Highway and onto the Sunshine COast. 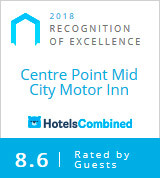 We were very happy with the room and the service. The room was nicely decorated and I would have been happy to have the bathroom in my home.